Harp Music for Weddings, Private Events, Parties, Funerals, orchestral work, flute and harp music, harp and cello music, flute, harp and cello music. Janelle played for my wedding ceremony, and I couldn't be happier with her performance. She was completely personable and professional.. She was punctual and delivered everything she promised and more. I cannot praise her enough. Thank you! You were such a stunning bride! Your ceremony was beautiful. Best wishes! Janelle music was absolutely beautiful and added so much to our New Years's Eve wedding. Our guests are still talking about how much they enjoyed it. That you played every song we requested and did so in such an elegant and professional manner was just fantastic. I can not recommend Janelle enough! Thank you! Janelle is the perfect addition to an elegant affair. She is professional, pleasant and an incredible musician. The music was beautiful and she played a variety of songs from classical to pop. I would not hesitate to hire her again. Thank you! Your family and friends are lovely! I loved the children's polite curiosity and requests. Great talent and a never ending wonderful attitude. Thank you Jim! What a delight to play for your ensemble. 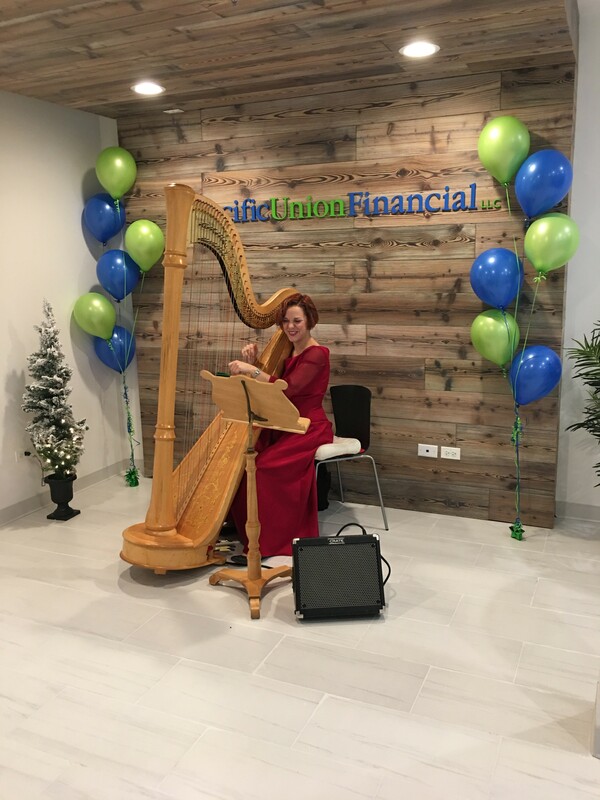 Janelle Lake played for our office grand opening event and she was incredible! She's so nice and very personable! Thank you Anna! You throw a great party! Janelle was amazing at our wedding outdoors in 2006! Just wanted to send a review for her, as I was googling all these years later and saw her name popped up. Her repertoire even back then was phenomenal and blew out guests away, who STILL talk about her. She even took requests during our cocktail hour and was playing Led Zepplin. So talented and so professional. Thank you Shannon! What a day brightening message to hear that you're still celebrating 11 years later! We hired Janelle for a Valentines dinner party at our home. She was easy to work with regarding our celebration. She came appropriately dressed for the occasion and wowed our guests during the cocktail hour. 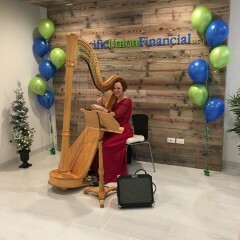 Her choice of music and repertoire was most enchanting and delighted all our guests with her interpretation of My funny Valentine for her closing piece. Thank you Jess! You throw a great party! From start to finish, Janelle exceeded my expectations. She was very professional and returned every email I sent her during the planning phase of my wedding promptly. I pretty much knew most of the selections I wanted to be played but there were gaps and I just didn't have a clue. Janelle put the selections together and it was perfect! I just received the video of my wedding and although my guest already had complimented on how beautiful she played, I was able to really listen, watching the video and it was absolutely amazing! Thank you Janelle for a job well done, with my highest recommendations. A delight! Prompt, professional and super talented. Everyone loved her! We will definetly use Janelle again. What a bright, talented, engaging performer. True passion for her music and extremely gifted. Janelle Jansen Lake is a creative and diverse, full-time harpist in Chicago. Equally comfortable with solo, chamber, and orchestral works, she specializes in contemporary, jazz, and pop music. Ms. Lake was recently appointed; as faculty; to Columbia College's Sherwood Conservatory of Music in downtown Chicago. She also teaches harp at the University of Chicago, and in her own private studio. Currently, she teaches between 30 and 40 harp students. When not teaching, Ms. Lake's performance sphere reaches many far corners. She currently holds the principal harp position to the Elmhurst Symphony Orchestra, the DuPage Symphony Orchestra, the Southwest Symphony Orchestra, and the New Millenium chamber players. As an advocate of new music, Ms. Lake holds the principal harp position with the Chicago-based contemporary music ensemble Dal Niente. With this group she has performed a multitude of irregular harp techniques and has even invented a new technique to suit a composer's desire. She has premiered works by Augusta Reed Thomas, Drew Baker, and Kirsten Broberg. Some of her favorite new music performances include works by Jon Deak, Michael Daugherty, and Lucio Berio. One of Ms. Lake's passions is meeting new people and taking part in their lives in a memorable way on a daily basis. Despite playing hundreds of weddings, funerals, and other services, each ceremony is unique to her. Most memorable performances for Ms. Lake include the National Republican Candidate conference (2007, MI), tea time and demitasse at the Grand Hotel (2007, Mackinac Island, MI), the opening of the Miller Park Baseball Stadium (2001, Milwaukee, WI), and the preview party for the international art and antique show with flutist, Kim Sopata (2008, Chicago's Merchandise Mart). Janelle Lake received her Bachelors and Master of music degrees from Northwestern University. There, she studied with the harpist of the Lyric Opera, Elizabeth Cifani. "Liz" helped Janelle foster a love of arranging and writing music. Her most recent arrangement is a harp duet combining Gershwin's "An American in Paris" with "Rhapsody in Blue". As a supplement to the Suzuki method, Ms. Lake wrote a book "Beginning Music on Harp" that is currently up for publication.